CoolingZone04 cools the scalability card cage. This zone includes fan modules in slots marked FM16, FM17, FM18, and FM19. These fan modules are separate from the fan cages, which are discussed in Cooling Zones 00 Through 03. 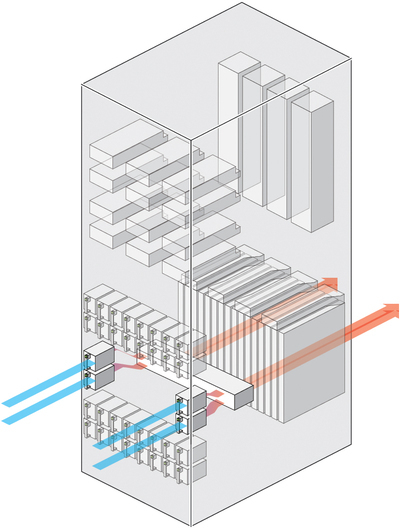 Each fan module contains two fans. If a fan fails in a fan module, replace the entire fan module.